The month of August is traditionally a school holiday over at Camp Ohana Village. However, the fun and activities never stop! In fact, the programs at Camp Ohana Village have extended their reach. Children from several villages in the surrounding areas walk as far as three miles to take part in the programs offered at Camp Ohana Village. These children engage themselves in activities such as volleyball, choir, children’s Ministry, organized games and photography skills. Technology was not left behind. With the recently introduced digital tablets that are solar powered, the children continue to use this technology as a learning tool. Indeed, it was an extremely busy and productive school holiday at Camp Ohana Village. 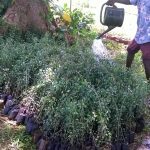 Let’s not forget our year long tree planting program. During the month of August, we witnessed a record number of indigenous species of trees being reintroduced at Camp Ohana Village. We expect to have more of these as the months and years go by. 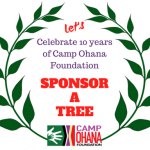 Given all the activities we have lined up at Camp Ohana village, our Sponsor-A-Tree program is still the major project for the year. We continue to invite and encourage those who are one with us in restoring Kenya’s forests by sponsoring a tree. Click on the link below to support this important initiative. Join us in planting as many trees as we possibly can.